Composed by Gabriel Faure (1845-1924). Arranged by Diana McNulty (ASCAP). Romantic Period, Anniversary, Wedding, Recital. Individual Part, Score. 10 pages. Published by Freckled Page Music (S0.197133). 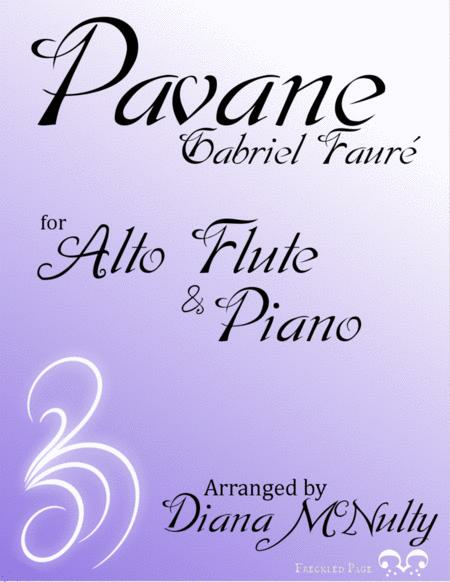 This arrangement of Gabriel Fauré's Pavane is scored for Alto Flute in G and Piano. 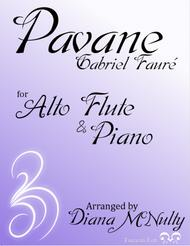 Pavane is familiar to many flutists as standard repertoire for the C Flute. However, this version pairs the haunting low tone of Alto Flute with the stately and somber character associated with this work.